Many people only know of Sicily from The Godfather, but it’s an incredible island worth discovering. 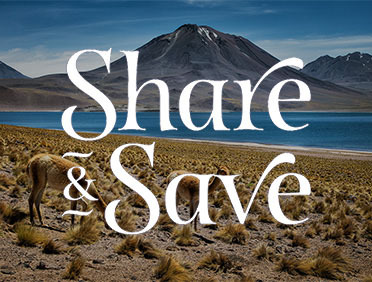 So if you get the chance to visit with Azamara, it’s an offer you really shouldn’t refuse. For a little rest and relaxation, Giardini Naxos is just the ticket. The coast seems to stretch on for miles, and there are many lidos dotting the beaches, where you can rent a chair and umbrella, and maybe even have a little afternoon riposo (the Italian version of a siesta). If it gets too hot, treat yourself to a delicious granita. To the left of Giardini Naxos looms Mount Etna, Italy’s largest active volcano. Hikes to the top of the mountain are only advised for experienced hikers (dress warmly! ), but the Silvestri Craters are fun to explore at any skill level, and you can walk right down into the base of these inactive craters. Or head to the hilltop town of Taormina, one of the most beautiful places in all of Sicily. Stroll down the Corso Umberto for good shopping and people watching, and don’t even think about leaving before visiting the Teatro Greco. The Roman arena is a piece of art in and of itself, but it’s the sweeping views that are the star attraction. Built in the 3rd century BC and still in use today, the Taormina Theater stands on a perfect site—on a hill over 700 feet above the sea, with a stunning view of the bay and the peak of Mount Etna in the distance. Founded in 296 BC, Tindari was once a Greek colony and today is famous for its sanctuary dedicated to the Black Madonna, perched high on a cliff. 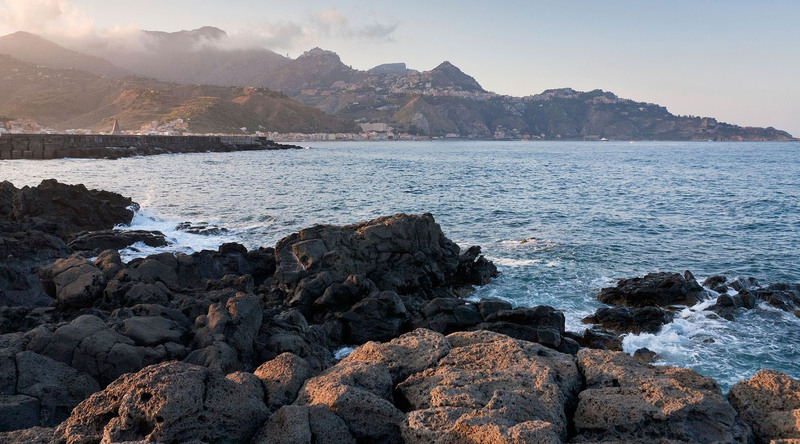 Explore ancient ruins, the church, and enjoy the gorgeous Tindari Lagoon. Explore the village of Taormina, perched on a terrace overlooking the Mediterranean Sea with the snow-capped peak of Mount Etna in the distance. Drive to Europe's largest active volcano to walk the Silvestri Spent Craters before enjoying lunch at a local restaurant. Enjoy a taste of local life at the fish and fruit market in Catania Town. Afterwards, visit a winery on the slopes of Mt. Etna. Explore Taormina, one of the most colorful towns in Sicily on an excursion that includes an exclusive tour of Casa Cuseni and its magnificent gardens. Embark on an exclusive journey that recalls scenes from The Godfather and explores Taormina's rugged coast by boat.